Thank you for visiting Jack Piermatti, DMD, FACP. I have recently relocated to South Florida from New Jersey, where I enjoyed an incredible 37 year career specializing in Prosthodontics and Dental Implant Reconstruction. I have been a full-time clinician and part-time dental educator dedicating my career to the ADA-recognized specialty of Prosthodontics, with services in Dental Implant Surgery. I am double Board Certified as a Diplomate, American Board of Prosthodontics and a Diplomate, American Board of Oral Implantology, for which I served as President, and continue to serve on the Board of Directors, as well as a Board Examiner. I have lectured extensively, and have trained thousands of dentists from around the world on the subject of Dental Implant Surgery and Implant Prosthodontics. I maintain a position as Clinical Assistant Professor in the Graduate Prosthodontics Residency Program at Rutgers University School of Dental Medicine where I am the Director of the Dental Implant Maxicourse. I have recently accepted a faculty position at Nova Southeastern University College of Dental Medicine where I will be Director of their new Dental Implant Maxicourse. 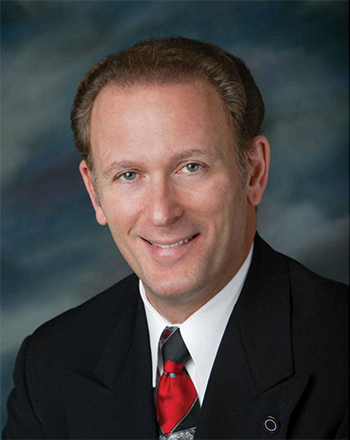 As a clinician, I have personally placed more than 18,000 dental implants, completed thousands of implant restorations, and managed a 7-doctor Group Specialty Practice and Dental Implant Center in New Jersey. I have contributed to the dental literature with multiple publications and continue to serve as a reviewer for three dental journals. I have been a consultant for a major dental implant company and conducted clinical research on dental implant design. I have recently joined Dental Arts of Boynton Beach, a state-of-the-art facility and will treat patients requiring dental implants and prosthodontic reconstruction. I will accept patients presenting either with new cases or completed cases with unsatisfactory results. Implant dentistry is a very technique-sensitve discipline and when handled properly, outstanding results can be achieved. As a Board-Certified Prosthodontist with extensive experience in implant surgery, I will coordinate a systematic treatment plan with any new patient. I will take cases on referral from other dentists or self-referred. I encourage patients with complex dental needs to call me at 561-767-9595.